Following are English-language dissertations in the field of human-animal studies published in 2015. Bergmann, S. B. (2015). Of Rats and Men: How Willard Exemplifies the Fallacy in Polarized Understandings of the Categories of Man and Animal. (Thesis). University of Iceland. Borduz, M. (2015). “Visibility is a Trap” . (Thesis). Linnæus University. Brown, M. A. (2015). Animal people. (Thesis). Iowa State University. Button, A. (2015). The Rescuers: intersections of individual and group activism and the recognition of the human-animal “Link”. (Doctoral Dissertation). Kansas State University. Dieker Larson, Erica Dawn. A study of the contribution of variables related to companion animals on positivity, Thesis, Manhattan, Kan. : Kansas State University, 2015. Dugnoille, J. (2015). The Seoul of cats and dogs : a trans-species ethnography of animal cruelty and animal welfare in contemporary Korea. (Doctoral Dissertation). University of Oxford. Dunn, K. H. (2015). Inherit the world, devour the earth : representations of western meat production and consumption in contemporary fiction. (Thesis). University of Canterbury. Fridberg, D. N. (2015). Case Studies in Ancient Maya Human-Animal Relations: El Perú, La Corona, and Commensal Mammals. Fridberg, Diana Nicole. Case studies in ancient Maya human-animal relations : El PeruÌ, La Corona, and commensal mammals, Thesis, Saint Louis, Mo. : Washington University, 2015. Gadenne, D. (2015). A canine-centric critique of selected dog narratives. (Thesis). University of Canterbury. Geier, Theodore Edward. British and other nonhumans of the long nineteenth century : abject forms in literature, law, and meat, Thesis, Davis, Calif. : University of California, Davis, 2015. Gierka, Robert Eugene. A Case Study of Veterinary Technology Students’ Experience of Continuing Human-Animal Bonds, Thesis, [Raleigh, North Carolina] : North Carolina State University, 2015. Gioreva, V. (2015). Nonhuman Neighbours: Animals, Community, and Relationships on the West Coast of British Columbia. (Masters Thesis). University of Victoria. Gomez, E. N. (2015). 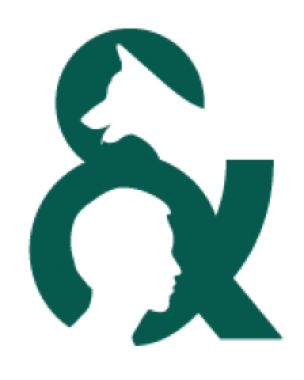 A qualitative study of animal assisted therapy with male probationers mandated to outpatient substance abuse group treatment (Doctoral dissertation, CALIFORNIA INSTITUTE OF INTEGRAL STUDIES). Gunter, Lisa.What’s in a name: effect of breed perceptions & labeling on attractiveness, adoptions & length of stay for pit-bull-type dogs, Thesis, 2015. Gyllenhammar, Anna, Evaluation of animal welfare education in primary schools in Lilongwe, Malawi, Thesis, SLU/Dept. of Clinical Sciences 2015. Huguenin Michael Allen; Stephen DeStefano; University of Massachusetts Amherst,; University of Massachusetts Amherst. Libraries,, Trends in human-wildlife interactions as related to land use and human density in Massachusetts, Thesis, Amherst, Massachusetts : University of Massachusetts Amherst, . Ives, Nancy. The experiences of law enforcement officers when working with a K9 : social support, attachment, and stress buffering, Thesis, [Place of publication not identified] : Fielding Graduate University, 2015. Johannesson, Klara, Reactions to objects and humans in Przewalski’s horses: a first step to assess domestication effects on behaviour in horses, Thesis, SLU/Dept. of Animal Environment and Health 2015. Kennedy, Amy. Running Athwart the Human : Queer (Un)Intelligibility and Animal Connections in Justin Torres’ We the Animals and Mario BellatiÌn’s Beauty Salon, Thesis, [Corvallis, Oregon] : [Oregon State University], . Kidder, Erin N; University of Texas at San Antonio. Department of Sociology,, Navigating the role of responsibility : habitus, socialization, and human impact on animal welfare in a community, Thesis, Ann Arbor, MI : ProQuest LLC, 2015. Krebber, AndreÌ. Raising the memory of nature : animals, nonidentity and enlightenment thought: a thesis submitted in fulfilment of the requirements for the degree of Doctor of Philosophy in the Cultural Studies Programme at the School of Humanities and Creative Arts, University of Christchurch, Christchurch, Thesis, 2015,. Laskoski, S. M. (2015). Morphing Myths and Shedding Skins: Interconnectivity and the Subversion of the Isolated Female Self in Angela Carter’s “The Tiger’s Bride” and Margaret Atwood’s Surfacing. (Masters Thesis). University of Montana. Leary Nicolle; Macquarie University. Department of Ancient History,, A walk on the wild side : animal figures and the canon of proportion in Middle Kingdom wall scenes at Meir. Volume 1: Text, Thesis, Sydney, Australia Macquarie University, 2015. Lewis, J. B. (2015). The Seoul of cats and dogs: a trans-species ethnography of animal cruelty and animal welfare in contemporary Korea (Doctoral dissertation, University of Oxford). McElroy, Michelle Lynn. The role of zoos in educating visitors about conservation of wildlife and habitats : a design for Sunset Zoo in Manhattan, Kansas, Thesis, Manhattan, Kan. : Kansas State University, 2015. McLaughlin, B. (2015). Life vs. unlife: Interspecies solidarity and companionism in contemporary American literature. Mielke, Sara Rebecca; Jeanette O’Quin; Michael S Bisesi; OhioLINK Electronic Theses and Dissertations Center. ; Ohio State University. College of Public Health. ; Ohio State University., A pilot study of potential public health hazards in the animal hoarding environment, Thesis, [Columbus] : Ohio State University, 2015. Monahan, Linda Angela; Kara Thompson; College of William and Mary. American Studies Program. ; College of William and Mary,, Understanding “roadkill” through an animal method, Thesis, [Williamsburg, Virginia] : The College of William and Mary, 2015. Mooney, S. (2015). Trading Paint for a Pulse: The Societal Debate of Art or Animal Cruelty (Doctoral dissertation, SOTHEBY’S INSTITUTE OF ART-NEW YORK). Näslund, K. (2015). Earthlings. (Thesis). Linnæus University. Reynolds, C. (2015). Carrots and sticks: a discourse on interspecies partnership and culture in dog sport. Ronan, Anne; Bryan Jay Wolf; Wanda M Corn; Alexander Nemerov; John Ott; Stanford University. Department of Art and Art History., Beauty and the bestiary : animal art and humane thought in the Gilded Age, Thesis, 2015. Roqueta, Edward Michael. Imaginative embodiment : a strategy for incorporating nonhuman agency in nature films, Thesis, Bozeman, Montana : Montana State University, 2015. Siegel, A. M. (2015). Unspoken connections| Scientists’ intersubjective experiences with animals. (Thesis). Saybrook University. Sinisalo, J. (2015). Interactions between humans and dogs. (Thesis). University of Skövde. Sinno, Nadia; California State University San Marcos. College of Education, Health and Human Services., A Compassionate Curriculum Utilizing a Guinea Pig to Help Students Develop Empathy, Responsibility, and Positive Social Interactions, Thesis, [San Marcos] : California State University San Marcos, 2015. Spence, Helen Ruth. How feasible is it to compare effects of companion dogs and service dogs on quality of life in people with movement disorders?, Thesis, 2015. Supukovic, N. (2015). Ecce Animal. (Thesis). University of Vienna. Teed, Corinne; Anita Jung; University of Iowa. School of Art and Art History., Queering the species divide, Thesis, [Iowa City, Iowa] : University of Iowa, 2015. Vitztum, Coley Marie; Patricia J Kelly, Physical activity in adolescents with orthopedic limitations : the use of human-animal interaction in the form of dog-walking, Thesis, Kansas City, Missouri : [University of Missouri-Kansas City], 2015. Westin, J. (2015). How We Tr(eat) Animals. (Thesis). Umeå University. White, Courtney Elisabeth. What looked like cruelty: animal welfare in Hollywood, 1916-1950, Thesis, University of Southern California Los Angeles, California 2015.